We all know content is king, but there are only so many posts that you can churn out before your creativity/willing evaporates. So how can you get your community to become more engaged with your site and contribute? 1. Comments – It may sound obvious but so many blogs and websites still don’t allow comments, so activate the comment box and get communicating. Respond to all comments with more information and debate, you want to stimulate debate on your website. 2. Ask the Right Questions to get Debate – Now your community can comment you need to provoke a bit of debate. Users won’t readily comment they will only do so if they feel they have something to say, if your post leaves them feeling cold, they’ll stay quiet. So finish your posts with a question it could be as simple as what do you think? Or have you got anything to add? All three can be embedded onto your blog or website and PollDaddy even comes with analytics so you can see who is responding. Here are a couple we made earlier on PollDaddy about what you think of UGC. 4. Use the Right Tools – aside from polls there are literally hundreds of tools out there that help you to get more user generated content. We love Nabble, a tool that allows you to seamlessly embed a forum into your website ( unfortunately only as long as it is WordPress.org). What do you think of UGC and the best ways to attract it? 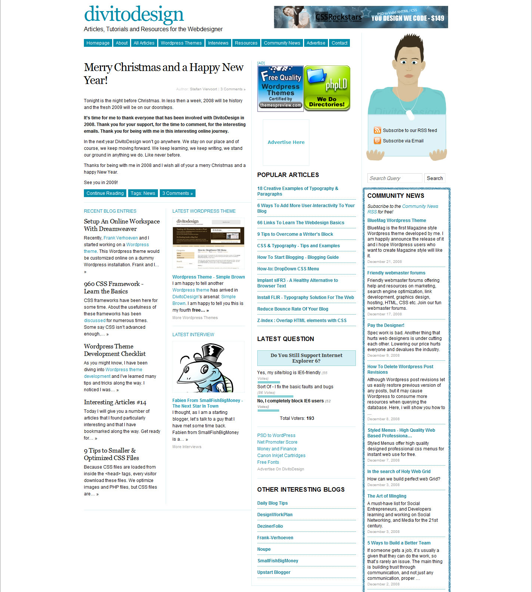 The forum took two minutes to create and is embedded with a quick copy and paste of HTML code. Users stay on your site when using the forum and can share posts with social media plugins, helping your UGC reach a wider audience with no extra work for you! Call us lazy but we like that even if it is only available on WordPress.org! 5. Get the Community to do it for YOU!– FV Community News is a WordPress.org plugin that allows you to create a form for users to submit fully formed articles with pictures, tags and they can be posted automatically on your site or after moderation straight off a fully intergrated WordPress dashboard. The plugin is completely spam proof using the same Aksimet system as WordPress. All you have to do is click “approve” and hey presto some brand spanking new UGC content. It is also good for receiving anonymous tips! You can see here what it looks like on Divito Design. Lastly, but most definitely not least… optimize your publishing date and time. There is no excuse for not doing this as you can pre-set publishing time and dates for your posts! Time the publication so the maximum number of your readers will be online and your content isn’t lost in the big digital sea! A fellow member of team GbU did a similar post on this a few weeks ago! So let us know what you think? 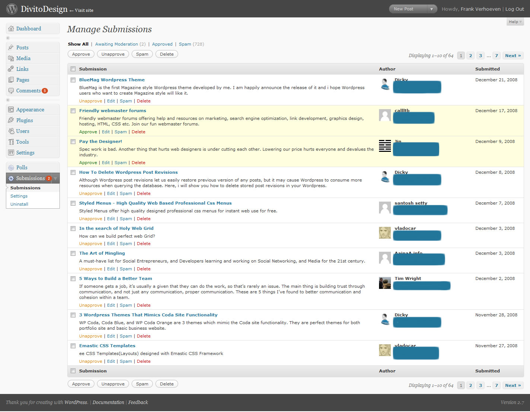 Or if you have any top UGC generating tips, Comment, Tweet or go on our UGC forum! This entry was posted in Social Media, UGC Toolbox, User Generated Content and tagged aksimet, blog, community, debate, forum, nabble, poll, Polldaddy, polls, tools, ugc, user generated content, Website, wordpress. Bookmark the permalink.